Amazing Shoot Today With Model Of Diversity, Fantastic Team, I Can't Wait To See The Final Images. Models of Diversity advocates for more diversity in models, and demands that the fashion and marketing industries recognise the beauty in women of all races, ages, shapes, sizes and abilities. Our mission is to change the face of fashion and modelling. 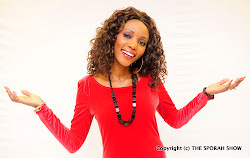 Angel Sinclair, the founder of Models of Diversity and Sinclair Model Management, is a former model herself; she started the campaign after appearing on Gok’s Miss Naked Beauty in 2008. Angel was struck by the great variety of beautiful women participating in the event and how that contrasted with the narrow range we see in the fashion industry. That’s when she decided, with Sally Williams, her co-founder, to promote the use of models that reflects diversity in society, in terms of race, shape, age and ability. JANICE BRYANT AMBASSADOR FOR MATURE MODELS. I’m 52 year old Model, who has beenmodelling for two and a half years. I started modelling after taking voluntary redundancy for my job as a Business Analyst. 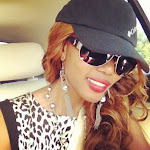 Sporah "I need to do my makeup"
The Models Appeared In Vogue Magazine Few Times, Was It A Challenge For Sporah..! What a Day.. for Sporah. Wataku PHOTOSHOP weeee mpaka, hata hatutaona the REAL SPORAH. Ila ningependa kuona finish product. VIPI WALIKUVALISHA VICHUPI KAMA ANAVOVAAGA FLAVIANA MATATA??? 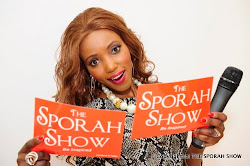 Am sure it was a challenge to you sporah, coz your into Video and talking ad this is more of posing and acting.! All in all i can't wait to see the final product. na wewe nae, sasa hapa Flav ametoka wapi? Vichupi ile ndio office yake, mwenzio yuko kazini, we utaishia kuongea tu. Kazi ya Sporah na Flav ni two diff things, hata ukimpa Flav microphone itakua challenge kwake pia maana sio sector yake. Muosha Kinywa..! Kanywe maji huko.